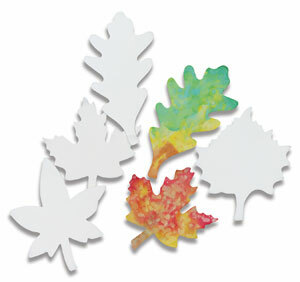 There are 80 leaves per pack in four designs: Maple, Sweet Gum, Oak, and Sycamore. Each leaf measures approximately 9". The pack includes an idea guide.